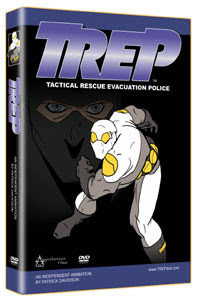 Apprehensive Films Blog, The Ultimate Cult, Horror, Indie and Grindhouse Label: TREP DVD Pre-Sale is Now Live!!! Or you can pre-order through us and save $5.00! If you order through us you also get a top secret variant cover and it's signed and numbered by the creator Patrick Davidson!